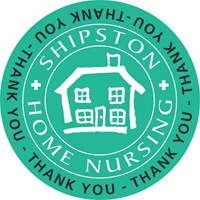 “Thank-you Rebecca for a fab few days in Shipston at your SHN Annual Christmas Fair…. You all make such a difference & I was truly happy to play a part. Pretty sure you won’t have your feet up today as the work is endless & it shows but please say how much I enjoyed everyone’s company in the SHN team & how they all managed to spread their own brand of magic around the place.